This is a fantastic mantel clock for proudly displaying on your mantelpiece. Finished in a rustic gold to give the appearance of age. 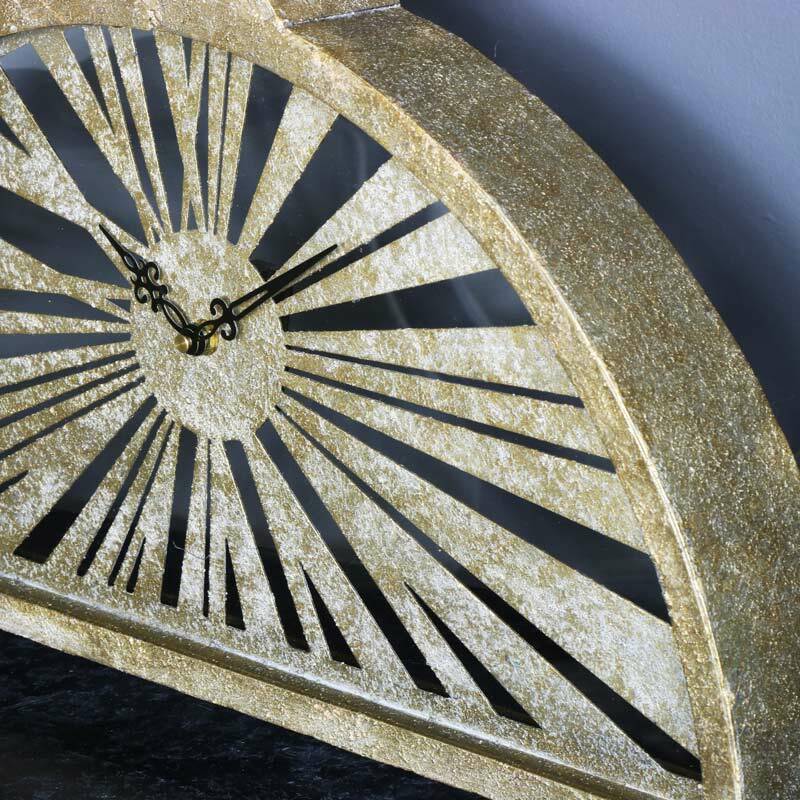 The clock frame features an arched, semi circle design with Roman numeral display and ornate hour and second hands. 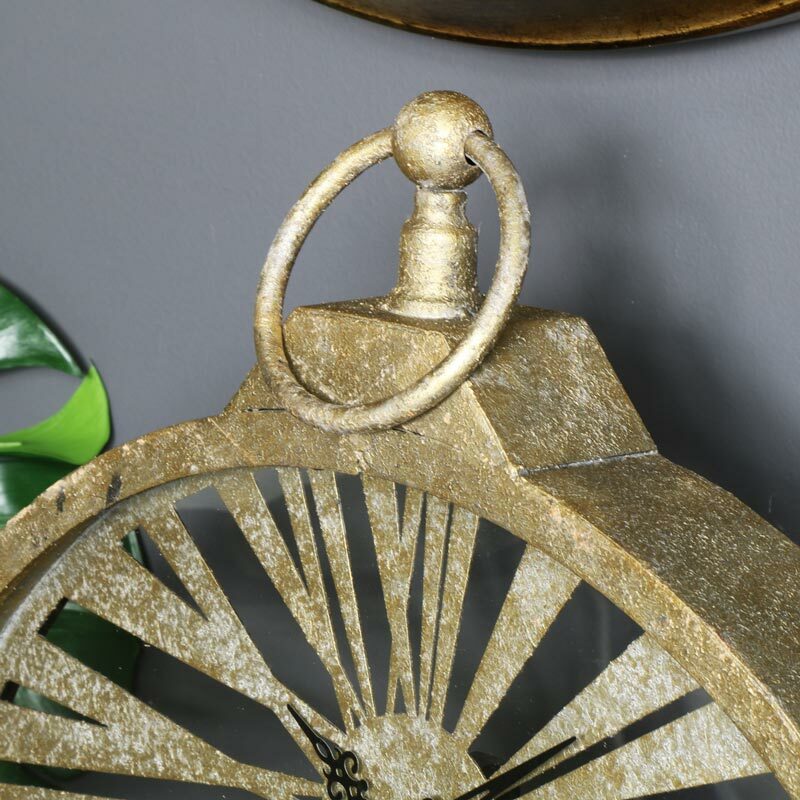 The top of the clock features a fob style decoration that adds to the vintage appeal. Display on your mantelpiece or place on a shelf or console table to show off this stunningly beautiful clock to maximum effect. This is a fantastic mantel clock for proudly displaying on your mantelpiece. Finished in a rustic gold to give the appearance of age. The clock frame features an arched, semi circle design with Roman numeral display and ornate hour and second hands. 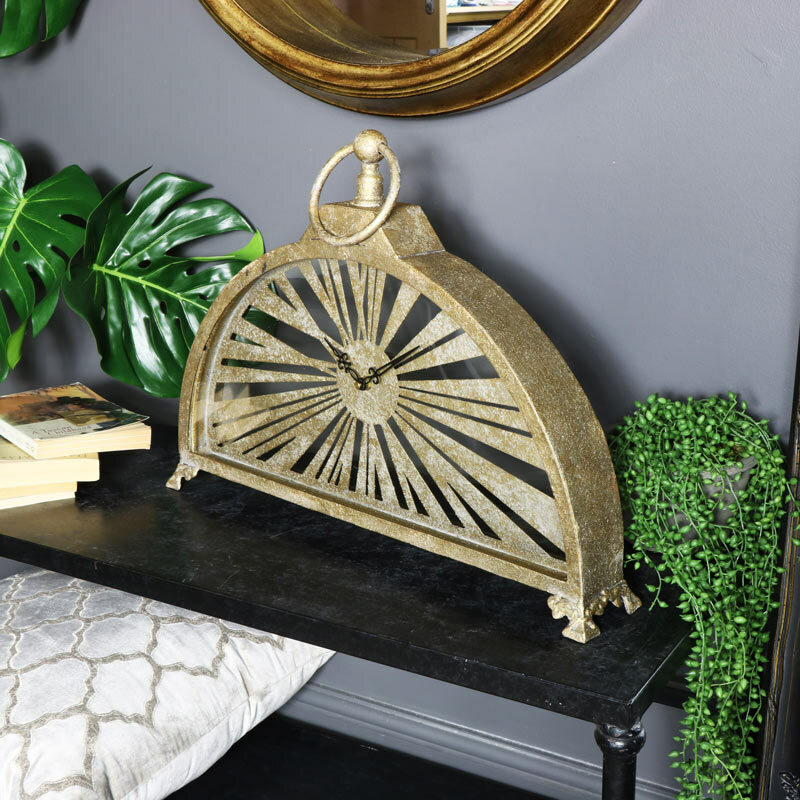 The top of the clock features a fob style decoration that adds to the vintage appeal. Display on your mantelpiece or place on a shelf or console table to show off this stunningly beautiful clock to maximum effect. Made from metal and painted in a rustic gold finish with distressed, aged appearance. The clock takes x1 AA battery (not included).